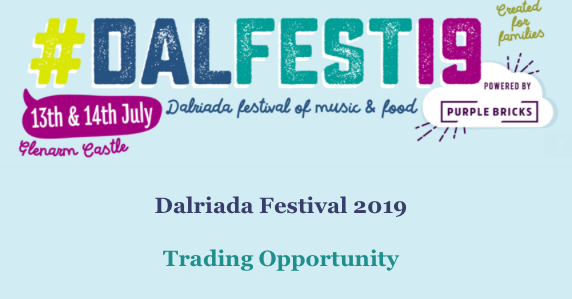 Dalriada Festival 2019 - Trading Opportunity | Food NI - Our Food So Good! 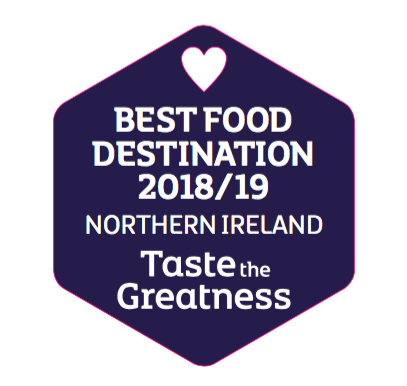 Organisers in partnership with Food NI are looking for local food and drink producers to exhibit and sell throughout this year’s weekend festival. The festival attracts in excess of 25,000 visitors annually and has something for everyone from fine foods and celebrity chef demonstrations to live music – this years line up includes Peter Andre and Fleur East! To read more about Dalriada Festival – click here! There will be a charge of £20 per stall/ trailer for electricity supply. 5: PAYMENT: APPLICATIONS WILL NOT BE PROCESSED WITHOUT PAYMENT. Food Producer (Selling for consumption off site- e.g. Jam, cider, bread. I / We hereby make application for trade space as above at DALRIADA FESTIVAL 2019 on 13th and 14th July. I / We agree to abide by all the rules and regulations set out in the Exhibit/ Trade Stand Regulations as part of this application. I have completed the application form and provided all information as requested including a full description of my trade stand along with a photo and payment in order to confirm my booking. I also agree to provide the organisers with a copy of my public liability insurance, hygiene rating, gas certificate and a risk assessment (where applicable) .For more information regarding camping, additional passes, tables or electric please contact Glenarm Castle. Traders must be present and selling for the entire show, trading hours are 11am to 10pm each day. It is not permitted to pack up and leave early during these hours.